Blueberries and their muffin. Just look at them. They are so happy to be together. And we are happy to eat them, Spiriteds. Remember when I shared that Creamy Avocado Pesto Zoodle Bowl and said we ate it almost every night? I remember it just like it was yesterday. Because it was. Well, this is another one of those recipes we have eaten multiple times in the span of a week because Paleo Blueberry Muffins are that delicious and easy to make! Fluffy and fruity, these muffins are now a staple in our home. They are our answer to breakfast and snack time and whatever time. Toodle and Twinkle cannot get enough of them, and once you make them, you won’t be able to either. 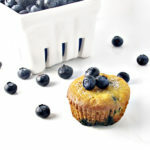 There is something so uplifting and reassuring about blueberries and muffins. They are the perfect combo for healthier eating in the new year. While I am definitely detoxing after eating ALL the holiday food, I absolutely refuse to give up flavor. 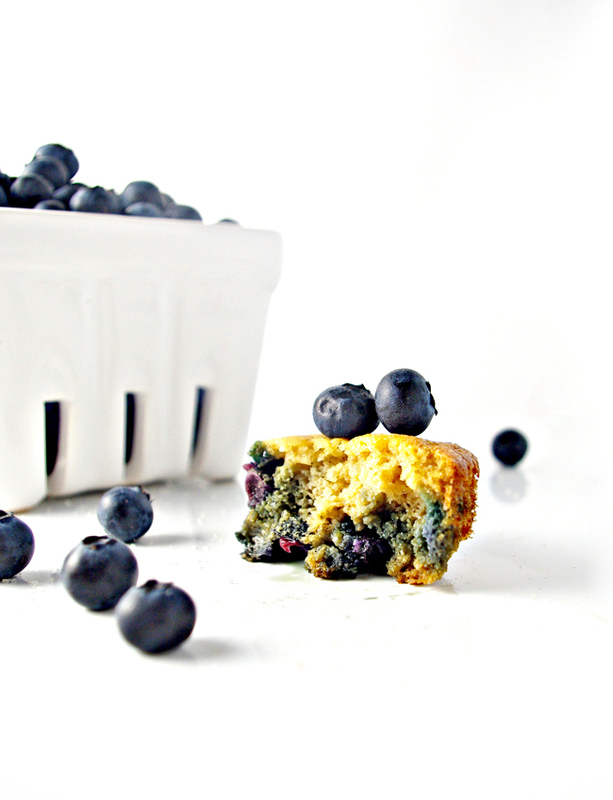 If you feel the same, then stock up on blueberries and almond flour because these Paleo Blueberry Muffins are just waiting to be enjoyed. A word to the wise, however. Use only fresh blueberries. Frozen won’t do and neither will fresh blueberries that are past their prime. This is one recipe in which fresh is best. If you’re thinking, But, Morgan, it’s the middle of winter! Wherever would I find fresh blueberries? I have an answer for you. Aldi’s. Seriously, I am now buying almost all of my produce at Aldi’s, and fresh blueberries are on the menu. Awesome grocery stores for the win. It’s possible I made several trips to Aldi’s for zucchini and blueberries. But the clerks were kind enough to let me save face when I returned for the exact same thing I purchased on the previous trip. It was all in the name of zoodles and blueberries and their muffins. 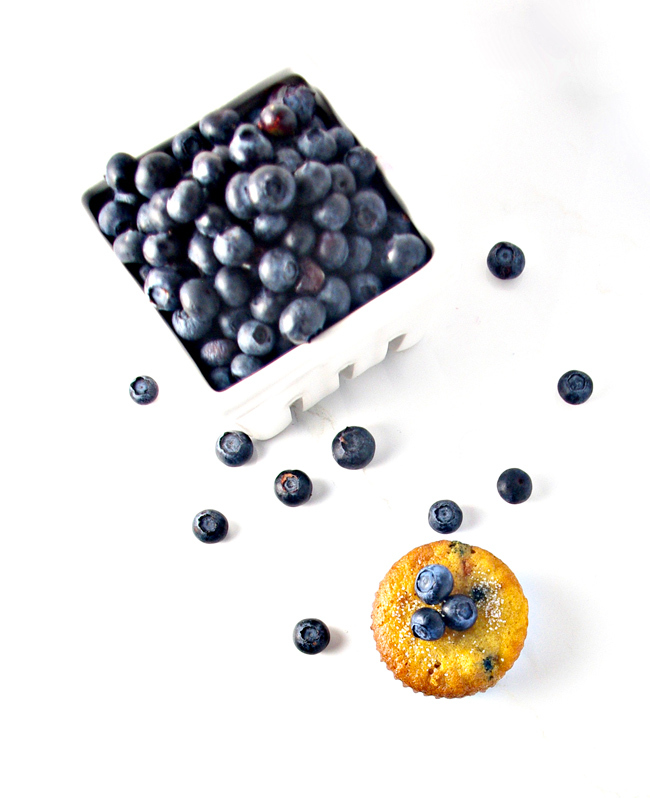 Do not even think about getting between blueberries and muffins. That relationship is ON LOCK. When making these, I found it easiest to combine the dry ingredients in a large mixing bowl and then add the wet ingredients. Using an electric mixer, I mixed everything together until smooth and then folded in the blueberries using a spatula. If you plan to line your muffin tin with baking cups, go for paper. I happened to have foil baking cups on hand, but the moisture had no chance of escape, making the muffins soggy on the bottom. You can also spray your muffin tins and pour the batter right in, bypassing the paper cups altogether. If your muffins stick to the liner, I found it easier to make small tears or rips in the edges of the paper cups, pulling the paper away from the muffin rather than just peeling it whole. That seemed to preserve the shape of the muffin. These Paleo Blueberry Muffins are best enjoyed shortly after coming out of the oven but will last up to a day or so. Although the taste remains delicious during that time, the consistency will change. I don’t foresee this being a major problem, however, because once you sink your teeth into one of these muffins, they won’t last for more than a few minutes. In a large mixing bowl combine the flour, baking soda, and sea salt. In a separate bowl, combine the coconut oil, agave nectar, eggs, and vanilla. Whisk with a fork until mixed. Pour the wet ingredients into the dry ingredients and blend with an electric mixer until smooth. Pour mixture into muffin cups about 1/3 to 1/2 full. Bake on lower oven rack for 12-14 minutes. Cover with foil for remaining 2-3 minutes if tops start to brown.